How Can I Choose a Bird that Will Talk? Question: How Can I Choose a Bird that Will Talk? I've made the decision to become a bird owner, and I want to get a bird that can talk. How can I be sure that I'm buying a bird that will speak to me? Answer: The only way to be 100 percent positive that you are getting a bird that will talk is to buy a bird that already talks. Obtaining a bird just because you want one that will talk is probably a mistake. Birds can be charming and loyal companions whether or not they ever talk at all. There is so much more to these birds beyond their ability to speak. Many bird owners, however, prefer to teach their birds themselves, and even more like to get their birds when they are young babies ruling out the possibility of hearing them speak before they are purchased. But be careful what you wish for. Talking birds talk when they want to, not just when you ask them to talk. And a bird that doesn't talk can be the most wonderful companion you've ever had. Parrots are fun and interesting birds whether they talk or not. So it really shouldn't be a parameter when you are looking for a feathered companion. Some birds will be with you for years before they utter a single word. If you fall into one of those categories, then the best thing for you to do is research several different bird species that have the ability to talk, as well as taking time to brush up on training techniques that will help you bond with your new pet and make it easier to optimize the chance that he or she will speak. Positive reinforcement training is highly recommended. This has been the accepted and preferred method of training anything, be it animals or humans. 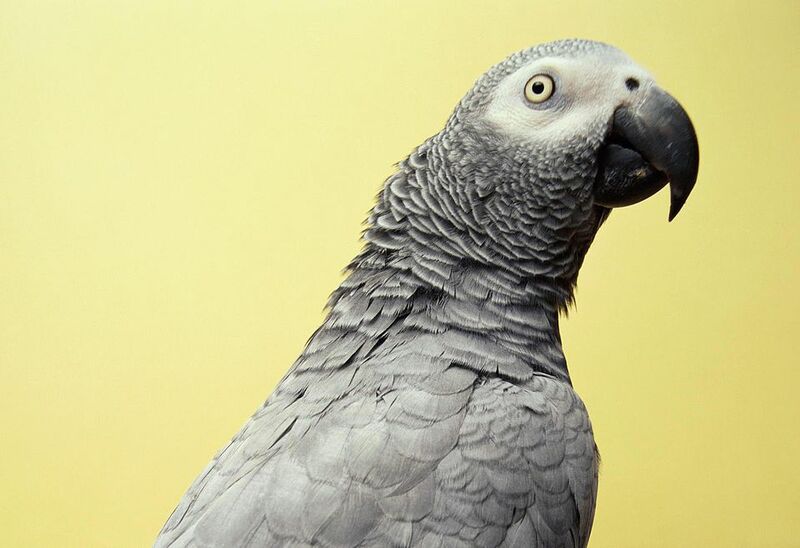 African Greys: These are perhaps the most celebrated of talking parrots, known for their extensive vocabularies and cognitive skills. Not only are they beautiful, they are incredibly intelligent. Quaker Parrots: These lively medium sized parrots can be impressive little talkers, and tend to learn environmental sounds as well as words and short phrases. Indian Ringneck Parakeets: Ringnecks are a wonderful choice for people who want a talking bird. Their beautiful colors and medium size make them attractive pets, aside from their crystal clear speaking abilities. Budgies: Although they may take a little more effort on the training end, many budgies become surprisingly proficient talkers. Cockatiels: These little charmers from down under are known for their whistling and excellent imitations of environmental sounds -- but with love and attention are able to build quite impressive vocabularies. Amazons: Several species of Amazon have reputations for outstanding talking ability, and make wonderful pets for those that commit to them. While it's true that some species have more of a knack for speech than others, it's important to keep in mind that buying a bird of a particular species is by no means a guarantee that it will ever talk, and that plenty of training, socialization, and positive interaction are the only ways to get even the most intelligent bird to speak up. Whatever species you decide on, make sure that it's a bird that will be compatible with your lifestyle. If you do your homework and choose the right type of bird for you, you are sure to fall head over heels for your new friend, regardless of whether or not he or she learns to speak. Take it from this proud parrot parent -- a few sweet snuggles and smooches from your favorite feathered friend are worth more than a million words any day.